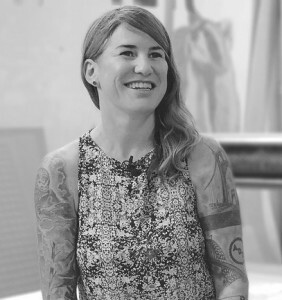 Talking recently with ADX Portland’s founder and owner Kelley Roy, she commented that about 1500 people move to Portland every month, and among these are a lot of people who are joining a growing community of makers. “There are so many people here who are hungry to learn how to make for themselves, very much into making the things for their world and to share with others,” Kelley said. For this growing creative community, ADX Portland provides a hub for collaboration where individuals and organizations make and learn. This makerspace is furnished with all manner of traditional and digital fabrication tools, including laser cutters, 3D printers, and a full-size ShopBot CNC router which they purchased in 2015. Kelley founded ADX in 2011, and spends a great deal of her time consulting with the people from around the world to create makerspaces, like ADX, in their communities. Kelley has become a globally recognized leader in the Maker Movement and is helping to put Portland Makers on the international map. She co-authored Cartopia: Portland’s Food Cart Revolution in 2010, has a graduate degree in Urban Planning and an undergraduate degree in Geological Sciences. To assist the growth of its programs for students, ADX has set up the non-profit Make It FUNd, which reaches out to corporate partners for their financial support. Learn more about ADX and its facilities and programs at their website, adxportland.com.